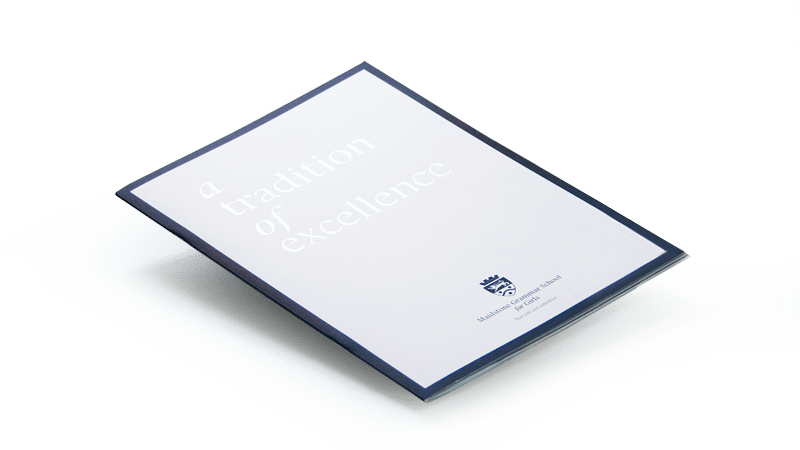 The aim of the MGGS rebrand was to develop a cohesive pack of professional looking marketing material that would position the school as a provider of high achieving education in a friendly and welcoming environment. With a modernised crest, an elegant typeface and a subtle and sophisticated colour palette, the new identity radiates confidence and prestige, while warm, student-focused photography gives life to individual student stories. A clean and uncomplicated design has strength and impact only when every detail has been considered. 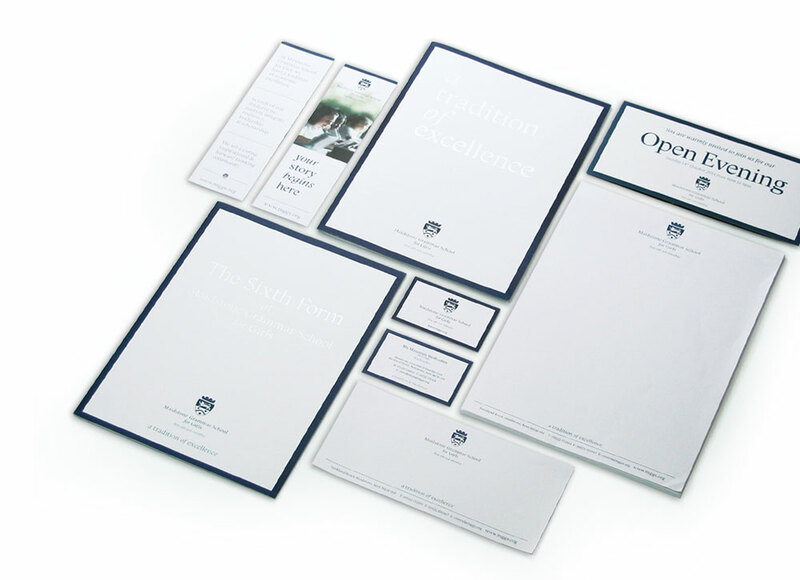 From the width and colour consistency of the blue border to the tone of voice of its messaging, the Maidstone Grammar School for Girls brand has been finely crafted down to the subtlest of element so that it clearly and consistently communicates the values and vision of the school at every level.